Valet service if offered to guests of The East 4th Street Entertainment District. Valet drop off is on the corner of Prospect Avenue and East 4th Street. Multiple surface lots and parking garages are available throughout the city. Foundation Room offers many different entertainment options throughout the week. Please call the concierge for more information. Foundation Room provides an exclusive, VIP, dining & lounge experience like no other in Cleveland. Located on the top floor of House of Blues, guests enjoy a stunning setting & ambiance only found in Foundation Room, Cleveland’s luxe, downtown hideaway. Conveniently located near Progressive Field, Quicken Loans Arena, & Rock & Roll Hall of Fame and Museum, Foundation Room is perfect for pre- or post-concert or downtown event. Once settled in, enjoy an eclectic & seasonal menu including an 8-ounce Angus Center Cut Filet & our Shrimp Thai Curry, paired with a bold wine from our extensive list, or a unique hand-crafted cocktail. Whether you are looking for an intimate night with that special someone or an unforgettable night watching your favorite band, Foundation Room Cleveland provides the ultimate Rock ‘n’ Roll VIP experience. Membership is not required for dinner reservations. We really enjoyed the atmosphere. The decor was interesting and different. The service was excellent. We will definitely be back another time. Julius is a great manager of the foundation room...they were always checking to make sure everything was great....Excellent time as always. We had a wonderful evening at the Foundation Room. Staff was courteous, efficient and very professional. Our guests were impressed with the ambience as well as the dining experience. We will definitely return to this restaurant soon. 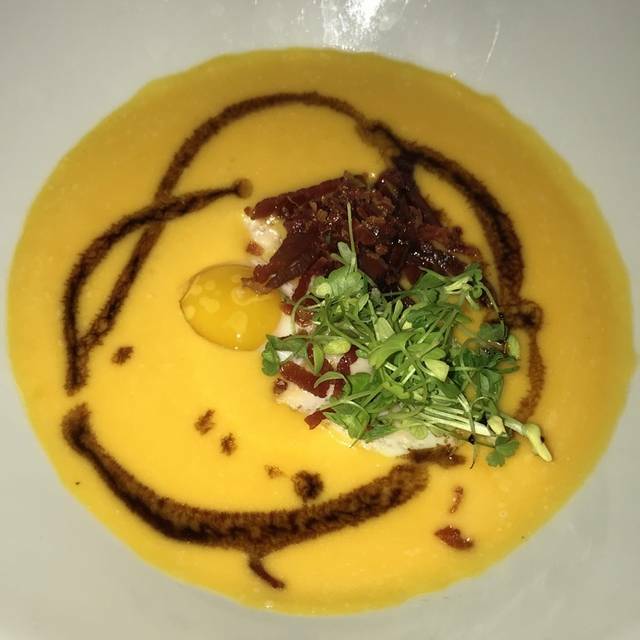 Overall I was disappointed with my experience with Foundation Room. On a Saturday night, we walked in to a completely empty restaurant. Two other tables were occupied later on. I ordered the Filet and it was very good. But, the meal was overpriced for what we received. The salad and sides were overpriced and small compared to other steakhouses. The chocolate cake dessert was very dry and not worth the price. Overall if I’m going to spend about $200 for a dinner for two, the restaurant should have more patrons. Save your $ or go to Marble Room. Absolutely delicious meal! Service was exceptional! Perfect service and excellent food! Gluten free bread would have made it perfect food too! Foundation room exceeded any and all expectations. The ambiance was incredible along with the service and food even better! Being new to the area it was our actual first date night my wife and got to have in a long time. The staff was fantastic and the food was superb. We shared the Shrimp appetizer and I had the 16oz Ribeye which I would highly recommend. We really enjoyed ourselves and can not wait to do it again. This is a gem upstairs from the House of Blues main floor restaurant. It’s so interestingly decorated and feel exclusive. It’s romantic, quiet, and service and menu are upscale. We were able to walk out onto the patio outside and view the outside activity on East 4th Street. The Foundation Room in the past was limited to private parties, and it just opened to the public around August 2018, so it’s a secret waiting to be found! Excellent service - friendly, efficient, helpful, you can tell that the staff really cares about customers and their experience. I recommend this venue for special occasions, hanging out with friends at the bar, or enjoying live music. From the moment I walked out in, I felt like I was transported to India. The fabrics, the Budhas and the plush seating won me over! We arrived early and sat at the bar, Lindsey was a jewel. Very pleasant and fun to talk with. Ordered the Cucumber Zen, very refreshing. Wanted a apicy martini and the manager on duty went to the kitchen and brought back some cayenne powder! Over and beyond! Excellent service! Dinner was delicious! Ribeye melt in your mouth food and the Shrimp Thai Curry had the right kick! We capped the night off with warm homemade cookies and bourbon ice-cream, needless to say, worth the calories!! Thanks Foundation Room for helping us celebrate our 22nd Wedding anniversary in style! Halie and Ian were amazing!! They made our first date night in months special. Great food in one of the most plush dining rooms in town. The secluded venue within HoB transports you to an exotic destination. We love the Foundation Room. Whether it's the bar menu or the full menu, the food and service are usually terrific. This was no exception. Julius and Haley were terrific. We had a wonderful time! The staff made a fuss over my daughter for her birthday! Everything was perfect. The food, ambiance, and service exceeded our expectations! Really wonderful environment. This is a nice treat before a concert. The food is amazing - worth the prices. Didn’t make it out to the balcony, so will try to come back in the summer and check that out. Felt spoiled the entire evening. I love the seating and it felt like exclusive as not many were there with us. Beautiful plush setting to enjoy outstanding upscale food and cocktails. The staff made our event special. They noticed our musical tastes from a record given as a gift and began playing songs by the same and similar artists! Really cool place and the staff really made you feel vip. Atmosphere was unique and very cool. Incredible find. Super exclusive feel, great food and great drinks. You'll love the decor, you'll be surprised by the VIP feel (in Cleveland, no less). This has instantly gone to the top five places to dine in town. Great service , great food , fun relaxing atmosphere. Perfect for dinner and live music in the lounge afterwards . Another great dining experience at the HOB CLE Foundation Room! Samantha is a knowledgeable server and helped with selecting our entries. The pasta and fish dishes were amazing! Kudos to everyone for making our Saturday night special! Food was delicious. Dessert was the best I've ever tasted. Didn't like table being right in front of kitchen door. Price for Crown on the rocks was $15: outrageous, in my opinion! Very pricey overall bill for two at about $225 -- it's just too much. Really enjoyed the atmosphere. Our first course came out not done and manager did not respond as we thought he should when told about it. Overall though is a great place but prepare to spend some money. Food was delicious when done as it should be. Spent some time in the lounge before our concert and had an amazing Godfather Manhattan made by Sarah. We were able to go right to the venue, Terry helped us get in early seeing that I was in a boot from foot surgery and was able to put up my foot before the show. It was a very neat place to dine. Excellent food and service. Everything about our night was fantastic from the time we were greeted at the door! Food was delectable, service was great and the ambience was incredible. We enjoyed ourselves so much we nearly forgot the purpose of our visit... the concert!! We are definitely considering a membership and we are looking forward to many more adventures there!! This place is one of kind! It's a hidden gem that every foody needs to experience. This may have been one of the best meals I've ever had in Cleveland. Outstanding evening at the Foundation Room. Entire staff was on their game and food was fantastic. At 8:30 when we left the lounge to go to the dining room, we ordered 2 Filet Mignon and were told they only had 1 left. Seemed odd to me that on a Saturday night at 8:30 they would be out of a popular menu item. The food was excellent as was the service, will return! Disappointing. Thought the menu would be more interesting. Staff is always friendly and helpful and give that little extra to make you feel special! Enjoyed a great night of dinner and concert. Food wasn't great at all in Foundation Room. Very $$ for the quality of food. Service was great and ambiance is nice. I won't eat here again but will def keep going to concerts there. The staff was very attentive and took great care of our group. The drinks were refreshing and the environment is relaxing. The truffle Mac and cheese was fantastic! Every one was very happy with their meals. And the staff was very understanding of our schedule. It was hard to have to leave some leftovers as we left for a show. Even thought it appeared that my wife and I were the only patrons in the restaurant we found our food to be quite tasty. The heavily draped brocaded fabric which covered almost everything was a bit much-almost oppressive.